Wye Oak might be a duo, but don’t let this band’s small size fool you — over the course of their twelve-year career, they’ve proven themselves more than capable of producing big, rich sounds that could make far larger ensembles jealous. Although you’ll typically find them called “indie rock” or “indie folk,” the truth is that Wye Oak is a tough band to pigeonhole owing to their immense stylistic flexibility. 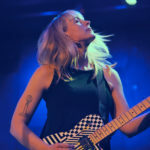 While the Baltimore-based duo — composed of vocalist Jenn Wasner and instrumentalist Andy Stack — might stick to straightforward and introspective folk on some tracks, others find them cranking out roaring shoegaze or taking on elliptical indie dance. Regardless of what sounds they choose to explore, it’s a given that this band is one that will break new musical ground with each new album. That’s not to say that Wye Oak lacks an instantly recognizable “trademark sound,” however. They do, but it doesn’t lie with their genre or instrumentation. 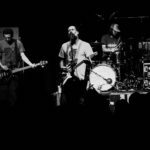 Instead, the one constant with the band’s music is their earnest and heartfelt lyrics and the passion with which Wasner — a distinct, highly emotive vocalist — sings them. Isolation, longing, and spiritual desperation are foremost among the topics Wye Oak’s music addresses. Wasner’s voice — throaty, weary and lived-in — lends effortless authenticity to these heavy themes. When she tells us “I don’t need another friend / when most of them / I can barely keep up with them,” as she does on the their 2011 breakthrough Civilian, her strained tones make it easy to feel as though the admission comes from personal experience. 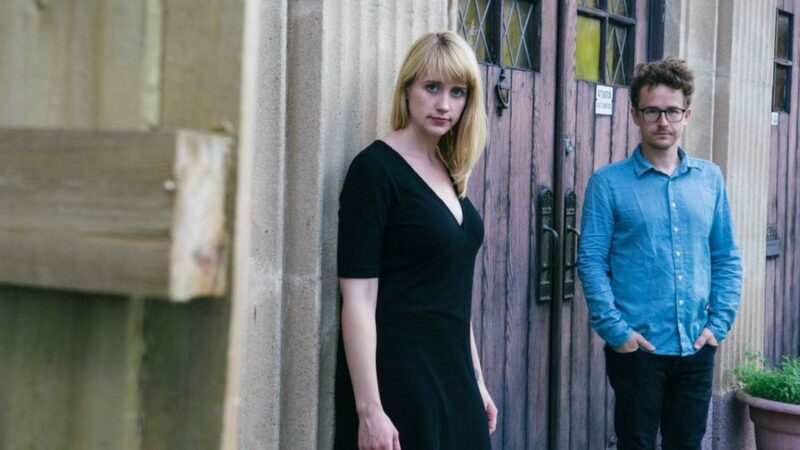 Wasner is wholly convincing the role of lovesick siren, but don’t be mistaken: befitting their stylistic diversity, Wye Oak are also capable of tackling moods far beyond simple melancholia. Swirling psychedelia, fiery romance, and unveiled sensuality are all in play. There is, too, a recurring sense of religious awe, nakedly expressed in a way that is unusual for an indie rock band. On Civilian and its sister EP My Neighbor / My Creator, Wye Oak crafts a primordial-feeling world where encounters with spirits, rituals and all powerful creators are an ordinary part of day to day emotional life. The effect is not to proselytize but to create a sense of wonderment any listener can tap into, regardless of their beliefs. Wasner might sing openly of holiness, but she’s also happy to leave its source open to interpretation. Consider these songs hymns for the “spiritual but not religious” crowd. Wye Oak’s April 6th performance at the Englert Theatre will coincide with the release date of their most recent album, The Louder I Call, The Faster It Runs, giving Iowa City concert-goers a unique first chance at hearing the new songs live. 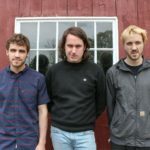 If the title track, linked above, is anything to go by, the new album will continue the band’s streak of inventive, elaborate rock; skronky guitar combines with multi-tracked vocals and big, almost stadium-worthy choruses to create an ambitious, crowd-pleasing experience uncommon to indie rock in 2018. The question remains — will the rest of the new tracks stack up? No promises, except for this: catch them at Englert this Friday, and you’ll be one of the first to find out if Wye Oak’s track record as one of the most exciting bands in contemporary indie rock holds up. It’s an opportunity that makes this concert rank among Mission Creek’s can’t-miss performances.